The American Auction Company conducts a full schedule of auctions and estate sales throughout the year in North Carolina’s Research Triangle area. It’s never too early to get your event on our calendar! We’re the proven auction and estate sale choice for Raleigh-Durham area residents who are looking to convert possessions into profits. Let our experienced team generate top-dollar results for your estate sale, consignment sale, auction or charitable fund-raising event. It’s easy to get started! 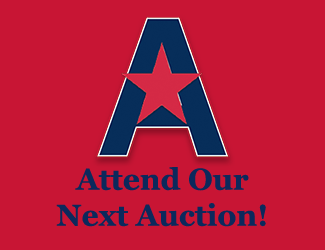 Simply fill out the contact form to the right or call The American Auction Company at 843-458-4353 or 919-629-7064. A member of our team will be happy to learn more about your objectives and to discuss the ways we can serve you. In Cary, Morrisville, Apex, Holly Springs, Fuquay-Varina, Angier, Garner, Clayton, Lillington, Sanford, Pittsboro, Chapel Hill and throughout the North Carolina Raleigh-Durham Triangle, The American Auction Company provides the effective, affordable way to make the most money in a short amount of time. Please fill out this form, or call us at 843-458-4353 or 919-629-7064 to talk further about your auction, estate sale, consignment or charitable organization's needs.